I like them, though, yes, I know that they are an invasive species. 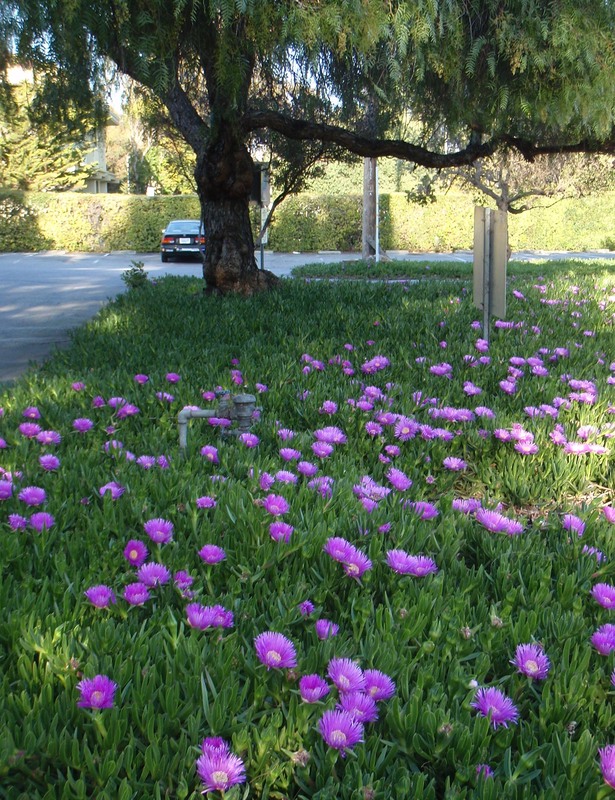 Ice plants are not native to this area. They are native to South Africa, which has a Mediterranean climate like our climate, so of course they grow well here. I realize that we need to get them out of natural habitats such as the Point Reyes National Seashore, and the San Francisco estuary, but I do enjoy seeing them bloom in my area, in the spring. The ice plants are pretty along Bayshore Drive. I went there on Sunday, April 5, 2009, and took pictures. The California Poppy (our state flower!) has also started blooming. I’ll have to go take pictures. 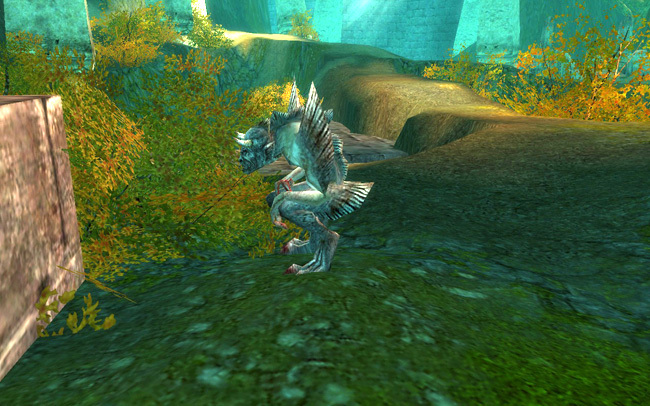 Someone asked me what I did the other night, after class, and I said – I fought gargoyles, in Guild Wars! 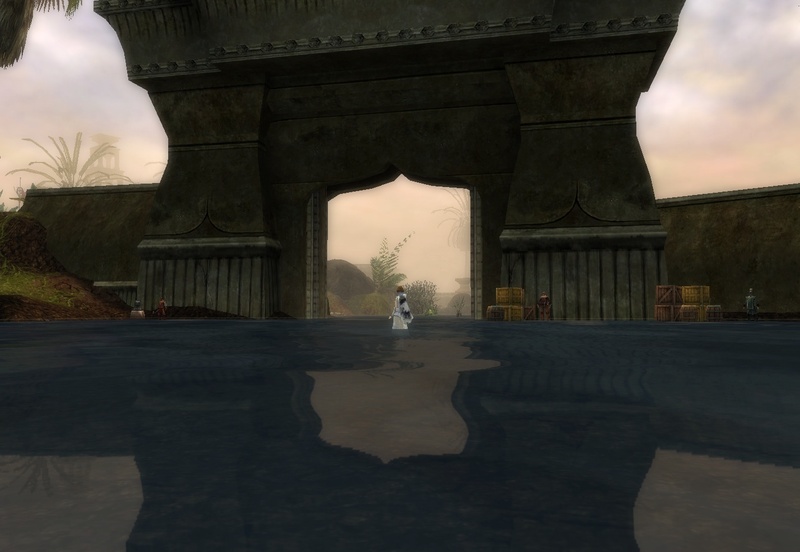 I’m at the beginning of Guild Wars (online multiplayer game), the Prophesies compaign, the “presearing” world, before all the bad things happen. The game designers make it easy for a new player, so that we can develop our skills. When I traveled to the catacombs, all of the gargoyles did not attack me on sight. A few of them noticed me – there was a big powerful one that was really mean! For the other ones, I had to take the initiative. I had to fight them – I want the area cleared out and I need those gargoyle skulls. I got most of them – there’s only a couple of gargoyles left. I watched one of them for a long time, and then I let him live. I have all the gargoyle skulls I need, and he seemed kind of lonely. How much fun can it be, hanging around the catacombs, never venturing out to the surrounding lands? That’s not much of a life. 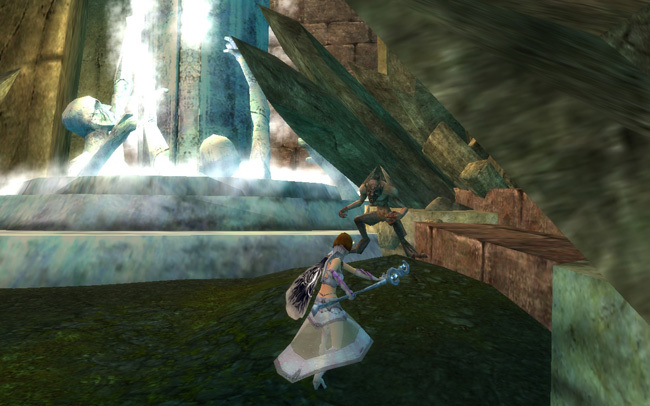 Here I am, fighting a gargoyle. I let this gargoyle live. The world is bucolic, above ground, but there are some weird things going on. I had to defend myself against the largest seed you are ever going to see! Yes, a seed, as in a plant seed, but it turned into a weird killer thing. What’s with this lovely world – unnatural magic, a thinning of the ozone later, what? Here I am, fighting a very mutant “seed”! I really like my new armor. Yes, that floaty skirt is “armor” — it protects me. The outfit is still too skimpy for my tastes, but it’s a lot better than the short cheerleader skirt I got when I started out. I like the top better too – I’m not spilling out of it, like I was with the other top. I do need better boots and gloves. My Elementalist in new armor – very nice. More later! Glad to be here.